!!! 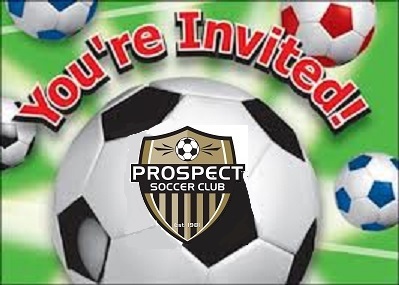 Welcome to Prospect Soccer Club !!! !!! Monthly Soccer Meeting !!! Welcome to the MiniHawks Program! Thank you for your interest in PSC and we look forward to seeing you out on the soccer field! Registration for the Entry Level, or as US Soccer now refers to it, Grassroots, Referee Program is open through the end of August. To register the candidate must turn 13 by 12/31/18. Once the online and in person session, which run through September 9th, are completed the referee can start officiating immediately and will be certified through 12/31/19. Please have the candidates follow the detailed instructions at https://www.ctreferee.net/files/referee_instructions/new_referee_grassroots_instructions_31Jul18.pdf. It is easiest to have the instructions open on one device and complete the registration on another device. Hopefully, 2019 recertification will open in the next few weeks. There are several in service clinics posted. This year the in service clinics will emphasize the 2017/2018 law changes, US Soccer Small Sided Initiatives, Teamwork and Signals and the phsychology of officiating. Attention current and new rec referees. If you would like to ref rec. games for PSC please plan on attending a mandatory ref clinic at Hotchkiss Park; on Friday, Sept 7 at 6:30 pm. All new and returning Rec Refs should plan to attend. Please bring a whistle if you have one. More dates to come. 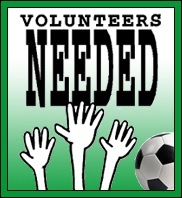 Pease inform PSC's Assignor (Heather Iannone - hmiges@yahoo.com) if you wish to become a in-house Rec Ref and also, once you become certified, as she has to update your PSC profile. 1) Any adult interacting with amateur athletes in the program has a duty to report abuse and or suspected abuse within a 12 hour period (Connecticut). EVERY adult is a mandatory reporter. 2) The statute of limitations in CT is extended 30 years after the minor reaches the age of 18. 3) Limits an athlete under the age of 18 from being alone with an adult who is not their parent. *What is an amateur athlete? Any child or minor under the age of 18. Legislation is available for download (click here). What are the requirements for NGB’s and NGB-Affiliated? Reporting: A mechanism that allows a complaint to be easily reported for a reasonable suspicion of Sexual or Physical abuse/neglect, within a 12 hour period of awareness. Federal regulations state that reports should be made to a) local law enforcement and b) local/state child protective services c) US Soccer, and d) the US Center for SafeSport. EVERYONE is a MANDATORY REPORTER. Mechanism for Reporting (cont. ): Other forms of misconduct such as emotional abuse, bullying, hazing, or harassment. A link embedded in the form will take you directly to the training video after completion of required information. CJSA strongly encourages its member clubs to have ALL of its coaches, administrators and volunteers whether they are paid employees of the club or volunteers to take the time to learn as much as possible about this important issue and to take the Mandated Reporter Training at their earliest convenience. For more information about the work of DCF, please go to the DCF’s website home at: http://www.ct.gov/dcf/site/default.asp. CJSA has adopted the US Soccer and US Youth Soccer recommendations regarding heading and the protocol for suspected concussions. Compliance is mandatory for all CJSA members for all activities where CJSA insurance applies effective April 1, 2016. No player who is 10 or younger may deliberately head the ball, regardless of the age group of the team they are playing on. This includes all activities where CJSA insurance applies, such as practices, scrimmages, and competitions at all levels. No player on a U11 team or a combined team including the U11 Age Group, (e.g. U11/12), even if the player has turned 11, may head the ball deliberately. This restriction will be enforced in competitions for teams U11 and younger (including combined age brackets including U11 and younger) by award of an indirect free kick for the opposing team. Coaches and parents are responsible for applying this restriction for players who are 10 or younger and playing up. Players who are age 11 to 13 and on teams for age groups U12 and older, are restricted to up to 30 minutes of practice heading the ball per week. There is no restriction on the number of times these players can head the ball in a competition, unless the team is competing in a combined bracket that includes U11. Any player who sustains a significant blow to the head or body, who complains about or is exhibiting symptoms consistent with having suffered a concussion or is otherwise suspected of having sustained a concussion, must be evaluated on the sideline by an on-site HCP engaged in this capacity for the competition who will perform applicable testing. Any player suspected of suffering a concussion will not be allowed to return to play until he or she is cleared by the HCP. Coaches, parents/guardians or players may not overrule the HCP. If a coach seeks to allow a player to re-enter a game who has been removed from a game for a concussion assessment and who has not been cleared to return to play by the on-site HCP, the referee shall issue a warning to the coach. If a coach persists in seeking to allow such player to re-enter the game after having been issued a warning, the referee may take other disciplinary measures against the coach as are permitted under the rules applicable to the competition. Unless an HCP determined that the player has not suffered a concussion and clears the player to return to play, the player will not be permitted to return to practice or play until the player has successfully completed the return to play protocol and has been cleared to return to play by a Physician. Where a HCP engaged for the event is not present at a game or practice, any player who sustains a significant blow to the head or body, who complains about or is exhibiting symptoms consistent with having suffered a concussion or is otherwise suspected of having sustained a concussion, must be removed from play and evaluated by an HCP before the player will be allowed to return to practice or play. No coach shall permit a player who has been removed from a game for a concussion assessment to return to play until cleared to do so by an HCP. Health Care Professional (HCP) are licensed professionals such as an Athletic Trainer Certified (ATC) or Physician (MD/DO), with skills in emergency care, sports medicine injuries and experience related to concussion evaluation and management. Compliance is mandatory for all CJSA members for all activities where CJSA insurance applies effective April 1, 2016. With hundreds of youth participants, PSC relies heavily on your volunteer support to help keep registration fees for its members as low as possible and making soccer available to everyone. The PSC board and coaches meet the first Monday of every month at the Prospect Firehouse at 7:30pm (check PSC web site for time and location - www.prospectsoccerclub.com). These meetings are open to all; please attend when you can and know that all suggestions that can improve upon our programs are always welcome. Earlier this week, soccer’s national governing body, the United States Soccer Federation, announced (see membership notice below) that a resolution has been reached in a 2014 lawsuit filed against U.S. Soccer, Unites States Youth Soccer Association and a number of other American soccer organizations by a group of citizens concerned by concussions in youth soccer. U. S. Soccer indicates it will announce in the near future, specific details, including a number of new initiatives and recommendations concerning the modification of substitution rules and limitations on heading the ball as well as a more comprehensive player safety campaign U. S. Soccer was working on before the litigation was initiated. We understand that the new recommendations include the elimination of heading the ball by players 10 years of age and limiting heading during any practice session for players between the age of 11 and 13. CJSA will provide you these details as well as any corresponding timelines for implementation as soon as they are received from the Federation or U S Youth Soccer. Any new updates will also be posted on CJSA’s website at www.cjsa.org. Since the U. S. Soccer announcement, CJSA has received a number of media requests for comment. CJSA will not be making any comments on this issue until U. S. Soccer provides specific details on these new recommendations and associated timelines. CJSA is requesting that its members also refrain from making any comment and, as requested in the notice, forward any local media inquiries you may receive to Neil Buethe, U. S. Soccer’s Director of Communications at:nbuethe@ussoccer.org/312-528-1270. I would also like to take this opportunity to remind all CJSA member clubs that earlier this year the Connecticut General Assembly passed a new law regarding concussions in youth athletics. This new law requires that as of January 1, 2016, CJSA and each of its member clubs make available at the time of a player’s registration, a written or electronic statement regarding concussions to each CJSA player and their parents or legal guardian. This new requirement was highlighted last August at CJSA’s annual President’s Meeting in Cromwell. To assist member clubs with this obligation, CJSA has developed and made available on its website a notice which provides information compiled from the materials distributed by the Centers for Disease Control (CDC). Member clubs will be receiving additional information via a separate email. Since the U. S. Soccer announcement, CJSA has received a number of media requests for comment. CJSA will not be making any comments on this issue until U. S. Soccer provides specific details on these new recommendations and associated timelines. CJSA is requesting that its members also refrain from making any comment and, as requested in the notice, forward any local media inquiries you may receive to Neil Buethe, U. S. Soccer’s Director of Communications at: /312-528-1270.